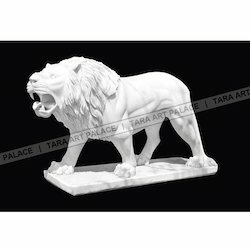 Manufacturer of a wide range of products which include _tiger marble statue, elephant marble statue, animals marble statue, sitting lion marble sculpture, cow marble statue and lion marble statue. 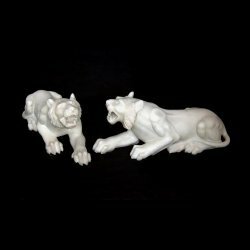 With the constant support of our dexterous crew of professionals, we are fulfilling the varied requirements of clients by offering optimum quality _Tiger Marble Statue. 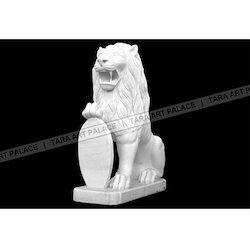 The offered statue is designed under the visionary guidance of skilled craftsman using finely finished raw material and sophisticated tools in compliance with set industry norms. 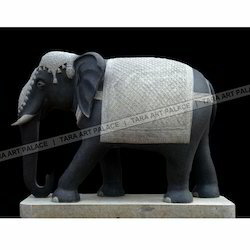 We offer this statue in number of sizes and designs as per the specifications laid down by our clients. 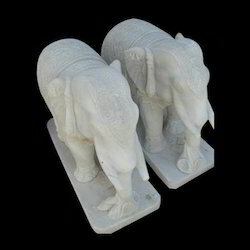 As per the variegated requirements of our clients, we are offering a broad collection of Elephant Marble Statue. High-grade raw material, brushed with advanced technology enables our professionals to design this statue in accordance to contemporary trends of the industry. Further, known for its superior design and look, our entire range can be molded as per specific requirements of the client at most reasonable prices. A very high resistance against heat climate and durability. 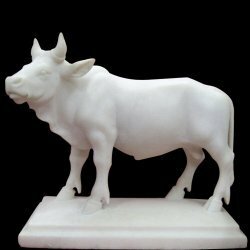 With the support of our experts and sophisticated in-house facilities, we have been able to offer an array of Cow Marble Statue. The offered statue is designed using premium quality raw material and ultra-modern technology in compliance with set industry norms. 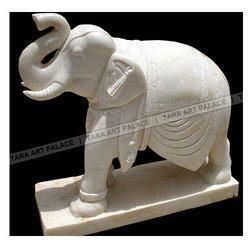 Our offered statue enhances the beauty of homes by its attractive looks and intricate design. Apart from this, clients can avail this statue from us at market leading prices. 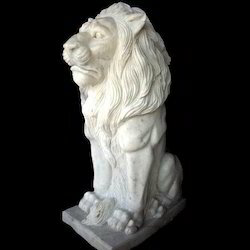 With the valuable assistance of creative team of our professionals, we are offering a wide range of Lion Marble Statue. All our products are appreciated for their features like elegant design and unmatched quality. 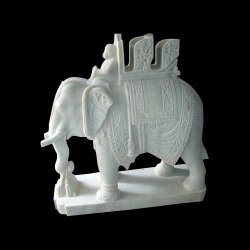 This statue is intricately designed using high grade raw material and advanced technology in synchronization to industry standards. 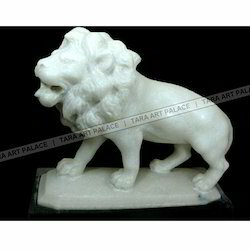 Furthermore, this statue is available in various customized options, as per requirements of our valuable clients. 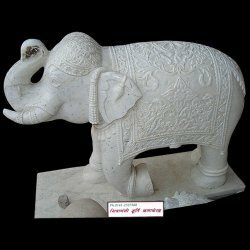 We hold expertise in manufacturing and supplying of Elephant Marble Statue to our valuable clients. The offered exquisitely studied statue is made from ultra white marble and multicolour thereafter to put up oculus catching look. 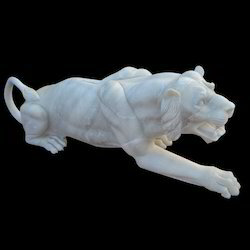 Looking for Animal Marble Statue ?